Although Lassa fever occurs each year in West Africa, Nigeria is currently suffering the largest outbreak on record. 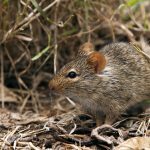 So far this year, 1,495 suspected cases of Lassa fever have been reported across 19 states, proving fatal for 119 individuals. Lassa fever is a serious viral illness that in severe cases can cause uncontrolled bleeding, similar to the Ebola virus. Lassa fever is particularly seen in rural populations as the virus is spread by the rodent Mastomys natalensis. These infected mice can enter local houses, contaminating household items with urine and faeces, laden with the Lassa virus. Contact with contaminated food can transmit the illness to humans, who when symptomatic can then spread the disease to other humans – healthcare workers are at particular risk due to their necessarily close contact with sick patients. This is being borne out during the present epidemic as 17 healthcare workers have been infected in this way. There are encouraging signs that the worst is over as last month’s cases were significantly reduced compared with January’s infection rate. Some warn that as the season for Lassa fever is not yet over , however, heightened vigilance should be maintained. Brazil has an on-going epidemic of yellow fever; the serious viral infection spread by the Aedes mosquito. As the outbreak now affects more populated regions of Brazil, larger numbers of infections have been recently reported. In the past 8 months, over 1,000 cases have been reported, including 340 deaths. The Brazilian government is committed to a widespread vaccination campaign that has been thwarted following false rumours about the safety of the vaccine. To date only about 9 million people have been vaccinated; the government’s target is to vaccinate 77 million by April 2019. A few international travellers have also been affected by the outbreak: 10 this year, 7 in 2017. Although these numbers are modest, if the outbreak spreads to the cities more popular with tourists, cases could be more frequent raising the possibility that infections could then be transported back to the tourists’ home countries. 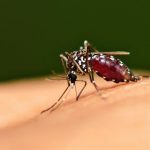 Travellers are still advised to be vaccinated before setting off for Brazil, and to take full precautions against being bitten by the mosquitos having arrived. Wearing long sleeved shirts and trousers, and regularly using a DEET-containing insect repellent are particularly encouraged. The number of those being infected with the bacteria Neisseria meningitidis has been increasing year on year in Fiji. In 2010, less than 10 cases were reported annually, whereas there have been around 20 infections already reported this year. Although details of the epidemic are fairly scarce at present, reports detail that it is a group C meningococcal strain that has been responsible for the infections, and that the WHO are making available supplies of a vaccination that covers this particular strain, as well as protecting against strains A, Y, and W, should they occur at a later date. The regions affected by the outbreak are likewise not widely reported at present, but a cluster of cases has been reported at St John’s College Cowaci in Levuka, Ovalau island, as well as from the Navesau Adventist High School, Tailevu province, on the mainland. Meningococcal disease can cause a potentially fatal inflammation of the lining of the brain: meningococcal meningitis. Without treatment, around 50% of those affected with this condition will not survive. In 2017, about 14% of patients died in Fiji following this form of bacterial meningitis, emphasising that even when treatment is available, the death rate is still very high. Other parts of the globe are particularly devastated by meningococcal disease. Spanning 4,000 miles across sub-Saharan Africa, from Senegal in West Africa to Ethiopia, there is a ‘meningitis belt’ in which the incidence of this illness is said to be around 1,000 times more than is experienced in Europe or the US. Within the belt, around 20,000 individuals are infected annually, thousands fatally so – during epidemic years the case numbers can be 10 times as high. Although antibiotics can be effective if given at an early stage of infection, immunisation is the mainstay of prevention. As the predominant strain of meningococcal infection has changed over the years, the WHO aim to vaccinate affected countries using the A,C, W,Y, vaccine. 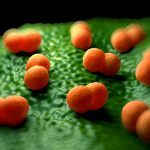 Around 1,000 people have been infected with Listeriosis this year in South Africa. This severe food-borne illness has caused a very high mortality rate. Although the outcome is only known for 674 of those infected, the illness has resulted in death for almost 30% of those affected. Patients who have suffered the most severe complications of the disease have been neonates, those pregnant, the elderly and individuals with compromised immune systems. Over 90% of the infections have now been linked to a meat product called Polony. This is a soft-textured smoked sausage from South Africa, similar to the Bologna sausage, from which Polony derives its name. Several countries have now banned the import of the product from South Africa, but as the incubation period is long, ranging from several weeks to 2 months, further cases are expected.